In a career that spanned five seasons and 34 starts, Hoppertunity had 22 top-three finishes while consistently racing at the highest level from coast-to-coast. His nine stakes wins were all graded, with Grade 1 scores in the historic Jockey Club Gold Cup at Belmont Park and Churchill Downs' Clark Handicap. He made two trips to Dubai and hit the board in the 2016 G1 Dubai World Cup when third behind California Chrome. He won the G2 San Antonio Stakes twice at Santa Anita and the G2 Brooklyn Invitational Stakes at Belmont. Hoppertunity recorded his first stakes win in the G2 Rebel Stakes at Oaklawn Park before finishing second to California Chrome in the G1 Santa Anita Derby next out. He went into Derby Week at Churchill Downs as the second choice for the Kentucky Derby until a foot issue forced his defection two days before the race. He returned at the end of the year to nail down the Clark Handicap over older horses. 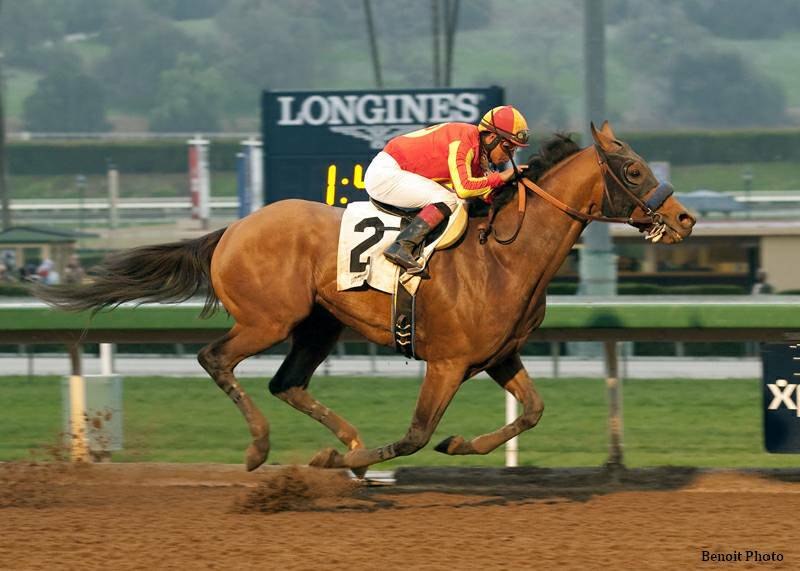 A son of Grade 1-winning Any Given Saturday from the male line of Forty Niner, Hoppertunity is out of the graded stakes-placed Unaccounted For mare Refugee. He is a half-brother to G1 Del Mar Debutante and G1 Chandelier winner Executiveprivilege, an earner of $999,000 from 10 starts. Refugee's weanling filly by Tapit sold for $1.3 million at the 2015 Keeneland November Breeding Stock sale. The mare has since had foals by War Front and American Pharoah. Hoppertunity's third dam is champion and Hall of Famer Davona Dale, winner of the Filly Triple Crown of the G1 Coaching Club American Oaks, G1 Mother Goose and G1 Acorn as well as the Kentucky Oaks, G1 Fantasy Stakes and five other stakes. Her foals include Belmont Stakes-placed Le Voyageur. Hoppertunity and the rest of the roster, including the region's leading sire Jump Start, will be available for inspection at Northview PA's open house on Saturday, Nov. 17. This entry was posted in Bloodstock, NL List and tagged 2019 stud fees, Bob Baffert, David Wade, hoppertunity, Horse Retirments, Karl Watson, mike pegram, Northview PA, Paul Weitman by Press Release. Bookmark the permalink.